The smartphone market is always raging with tough battles between great new models. One such great battle of smartphone models will be witnessed between the new OnePlus 3 and the just launched Xiaomi Mi Note 2. Both of these new smartphones are flagship models and come from Chinese makers. While the OnePlus 3 has been launched for some time, Xiaomi has just launched its latest flagship model, the Mi Note 2 in its home market, China. The newly launched the Xiaomi Mi Note 2’s primary highlight is its 3D curved glass design flaunted at both front and back sides of the device, making it comparable with the fascinating curved dual-edge display design of the Samsung Galaxy S7 Edge, although some might disagree as the Samsung flagship is touted to be more premium with a hefty price of course. Here, however we are going to compare only the Xiaomi Mi Note 2 with the OnePlus, both of which are premium, efficient, capable and are much more affordable than the flagship devices of the tech biggies. Here we are pitching the just launched Xiaomi Mi Note 2 against the OnePlus 3, in order to find out which among these is more capable and a worthier buy. OnePlus 3 comes with an eye-catching design language with anodized full aluminum unibody construction for a solid built quality. Its premium built quality further assures to offer outstanding durability due to the usage of space-grade aluminum, and comes with one of the best built qualities in the current market. However, the device still manages to be very light at just 158gm. This smartphone’s dimensions stand at 152.7 mm x 74.7 mm x 7.4 mm and it is available in graphite and soft gold color options. On the other hand, the just launched Xiaomi Mi Note 2 comes with its exciting design language that Xiaomi calls a two-sided curved styling that looks stunning. Its dual-curved display is reminiscent of the new Samsung Galaxy Note 7 as mentioned above. The Mi Note 2 comes with a smooth and enticing glass and metal construction. The device will be offered for sale in two color choices of Glacial Silver and Piano Black. Both the phones are actually phablets and feature large sized displays. The OnePlus comes packed with a 5.5 inch Optic AMOLED display with a Full HD screen resolution of 1080 x 1920 pixel. 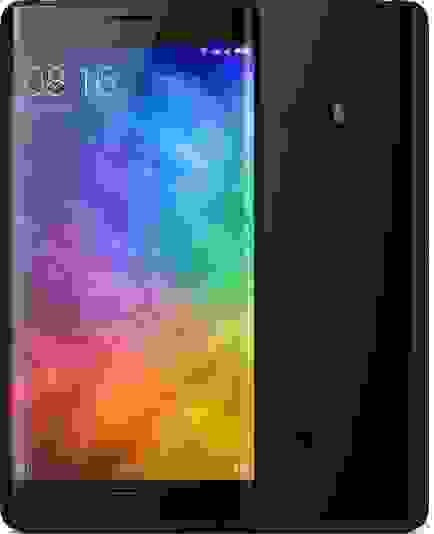 The new Xiaomi Mi Note 2 is going to play a killer of large screened phone as it comes equipped with a OLED flexible 5.7 inch display with Full HD screen resolution of 1080 x 1920 pixels) that makes for a 77.2% screen to body ratio. Thus, both the phablets offer large screens with the same resolution and thus the visuals quality will be the same in both devices, but the Mi Note 2 will be offering a slightly larger screen. The OnePlus 3 flagship model comes powered by a Snapdragon 820 chipset that is supported by a humongous 6 GB of RAM. On the other hand, the latest Xiaomi flagship model comes equipped with a faster quad core Snapdragon 821 processor that clocked at the speed of 2.35 GHz and also comes backed by a 4 GB and a massive 6 GB of RAM options. In terms of storage, the OnePlus device comes with 64 GB on inbuilt memory that can’t be expanded. On the other hand, the Xiaomi phone offers 64 GB of memory with the 4GB RAM version, while offering 128 GB of internal storage space with the 6 GB RAM variant. However, it is not known, if both the variants of the Xiaomi Mi Note 2 will get available in India, when it launches here. Both the new Xiaomi Mi Note 2 and the third generation OnePlus 3 smartphone models run on the Android 6.0 Marshmallow OS that is topped with the UI skin of the respective companies. 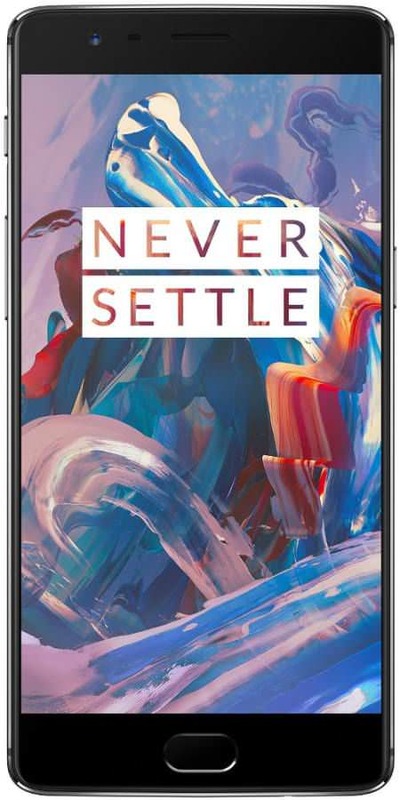 The OnePlus 3 smartphone charms with a 16 MP rear primary camera, which comes with features like phase detection autofocus, optical image stabilization, etc. It is also capable of recording 4K videos. The device also offers a good 8 MP front facing selfie camera. On the other hand, the Mi Note 2 comes boasting a massive 22.56 MP primary rear camera that is equipped with a Sony Exmor RS sensor and is loaded with premium features like phase detection autofocus, EIS and 4K video stabilization among others. The new smartphone also comes with an 8 MP front facing selfie snapper empowered with a Sony sensor that offers Auto Beautify 3.0 and many other features. The OnePlus 3 draws its juice from a 3,000 mAh capacity battery pack that offers good backup and comes with Dash charge technology, while the Xiaomi Mi Note 2 comes loaded with a huge 4070 mAh capacity battery along with Quick Charge 3.0 support, which should offer really great battery life. Both the smartphones come with all the modern connectivity options including 4G LTE support, 3G, Wi-Fi, Bluetooth 4.2, GLONASS, GPS, NFC and a USB Type-C port. The OnePlus 3’s current best price in the Indian market is around Rs. 28,000. On the other hand, the just launched Xiaomi Mi Note 2 has a price range starting from CNY 3,299 in China (which is approximately Rs. 32,600 in India), while the Global 6 GB RAM/ 128GB memory variant costs CNY 3,499 (approximately Rs. 34,500). After looking into both the smartphone models, it is clear that both the devices offer true flagship capabilities while being very pocket friendly as well, as they come with the price range of mid-ranged smartphones. However, going by all the details, the latest Xiaomi Mi Note 2 is a better device than the OnePlus 3 with better specs. You can find more details on both these smartphone models on 91mobiles. Both these devices can also be compared side by side by visiting 91mobiles.com. While the OnePlus 3 is definitely a great premium smartphone with an amazing price tag, the just launched Mi Note 2 is even better with a slightly larger display, faster processor, higher resolution primary camera and bigger battery capacity. That was a helpful mobile comparison, thanks for guiding. Very informative and nicely written, you have done a great job keep going!